The Joint Admissions and Matriculation Board has announced that this year’s Unified Tertiary Matriculation Examination will begin on February 29. 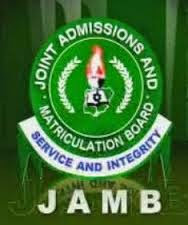 PUNCH reports that JAMB’s Head of Public Relations, Dr. Fabian Benjamin made the disclosure on Tuesday. He said that the board would use about 500 Internet-complaint centres in the country for the Computer-based Test. The examination, he added, would hold in seven other centres outside Nigeria. According to him, the centres are in the United Kingdom, Ghana, Cameroon, Republic of Benin, Saudi Arabia, South Africa and Ethiopia. examination notification from Thursday, February 18, 2016 for the schedules of their examination. The notification contains their date, time of examination and venue. “They are to be in their various centres 30minutes before their time. Again candidates are advised to check their schedules properly as JAMB will not condone any excuse in the event of candidate missing his or her time and date of examination. In the 2015 UTME, no fewer than 1.5million candidates sat for the examination in about 400 centres. The exercise, which experienced initial technical challenges, lasted for 10 days.